As many of you will know, I ran, unsuccessfully, to be the Labour candidate for Christchurch Central. While I’m disappointed not to have been chosen, the party has picked someone who will make an excellent MP for the electorate in Tony Milne. I’m proud of the campaign that I ran, and the effort that I put in. I am post proud of the speech that I gave on the day, which I am reliably informed was a rousing call to arms. In lieu of a video from said speech, I present the text from it below. Good afternoon, my name is James Macbeth Dann and I’m here to talk to you about why I think I should be the next Labour candidate for Christchurch Central. I’d like to acknowledge our party president, Moira Coatsworth, our former mayor, people’s choice councillors and community board members, and Megan Woods. I’d also like to acknowledge my parents, grandmother, aunt and uncle, as well as my partner Hannah and her family. It is my belief that Central is the most important electorate in the country at the moment; it is a symbol of the destruction wrought by the quakes which has been beamed around the country and the world – but it is also a symbol of the failure and broken promises from the National-led government. Brownlee and his accomplices have presided over a man-made disaster, far worse that the one caused by mother nature, and I believe that I am the best person to lead Labour and Christchurch Central towards a resolution. Every morning when I leave my house, I’m confronted by the broken mess on High St, the old McKenzie and Willis. So much history and heritage, propped up by struts and shipping containers. A reminder of both the city a hundred years ago, and the city three years ago. A monument to creativity, and to everyday, human stories. The quake wiped these buildings off the map, but the government’s inaction has written them out of our cultural history. Under Helen Clark’s leadership, the arts and culture portfolio was a personal interest to her. Since then, we have struggled to get much cut through in this area. Where were we when so many of the cities beautiful heritage buildings were pulled down? I would like to see the Arts, Culture and Heritage portfolio once again be as strong as it was under Helen, and my experience will be useful towards that. I’ve spent a decade making, releasing and performing independent music, up and down the country. I know what its like to be a part of this small industry, an industry that is so vital to our identities as New Zealanders. I’m also well connected in the contemporary and visual arts scene within the city. I’m good friends with a number of artists, curators and practitioners, and a board member of the Physics Room, the South Islands’ only artist-run contemporary arts project space. Along with music and visual arts, I’ve had a key role in a number of the transitional projects that have brightened up our city since the quakes. I was the first artist to perform at the very first Gap Filler, held on the old South of the Border site on Colombo St, in November 2010. Since then, I’ve stayed involved with a range of transitional projects, including FESTA and the urban farming project Agropolis. While there are many things about this city that can be frustrating and bleak at times, the creative, dynamic energy that is best expressed through these unexpected ways in something that assures me that the future of the city is still one of positivity and progress. The redrawn central will be an electorate of communities and contrasts. In the south, it will start at the Heathcote, the river that runs past my parent’s back yard. The electorate then moves through Beckenham to Sydenham, where my grandparents raised four boys on a plumber’s salary. In the north we have St Albans, where my partner’s sister lives with her two children, around the corner from the house where my mum grew up. Slightly across to the east is Shirley Boy’s High School, where my father has taught for over 30 years. But in the middle is an aching gap, a mess of gravel and road cones where a city once stood. This is where I live. Central has been a starting point for some brilliant Labour MPs. Geoffrey Palmer was one of the best legal minds to ever step foot in the house – and his long shadow still hangs over the party. Lianne Dalziel showed after the quakes just how valuable a strong, vocal, passionate local representative can be – and now she’s one of our brightest hopes for cleaning up the mess at the CCC. When Tim Barnett was the MP, he promoted important social legislation, such as the prostitution reform bill. Christchurch Central has had a long tradition of charismatic, visionary MPs, and this is a tradition in which I want to follow. My writings on my site, rebuildingchristchurch, have been read 10’s of thousands of times, all around the world. I’ve written over 100,000 words in almost 300 posts since September 2010. This isn’t just me talking to my keyboard. The success of the site has seen my writing feature in the Press, the Herald, and have a column in the Christchurch Mail. The site has also been picked up by the Guardian, as the only New Zealand blog to feature in their Guardian Cities site. So what, you might say. Well, I’d argue that this is important. The Labour Party hasn’t enjoyed the greatest run in the media of late – including some mistakes of our own making. I already know how to work with the media, to write a speech, a blog or a press release. I know how to write something tailored to a particular audience. I know how to get cut through on twitter, or how to get reach on Facebook. These are skills that the party desperately needs right now, and not only do I bring them, but I can work to up skill others. What are our priorities? Should we be building a $500 million stadium when the Crusaders can’t fill their temporary one on a week by week basis? Is it fair to take the money from two pools in the east – Centennial and QEII – and put it towards one complex on the south west of the city? But for me, the biggest outrage is the Eastern Frame, not far from here. The Government is spending over $600m of taxpayer money with the express purpose of limiting land supply, so that land owners within the frame don’t see their portfolios lose too much value. This shows exactly where this government’s priorities lie; they will spend hundreds of millions to maintain the real estate portfolios of their rich lister mates, whilst residents in the suburbs shiver towards a fourth winter post-quake. It’s socialism for the rich, but capitalism for the poor. This is John Key’s New Zealand, but it’s a world away from the egalitarian, caring state in which he was raised. I don’t want to live with another 3 years of a Key Government. Even worse, I don’t want to suffer through another 3 years of Brownlee botching recovery. But we aren’t going to change this government without changing ourselves. We need to be bigger and bolder. We need to be braver. Most of all, we need to be better. Better than the Nats, better than the Greens. Better than we are at the moment. It’s no secret that Labour lost the last election in Christchurch. Central was held by Labour for 65 years until 2011 – but that wasn’t the worst result. No, that would be Labour’s performance in the Party vote. We got 26.7% across the city – which is even less than our dismal return nationally. The boundary changes are better for Central than they are for some other electorates, but that doesn’t mean that we can be complacent. In Beckenham, which is proposed to be added, Ruth’s personal popularity saw her get 44% of the candidate vote. However, Labour got fewer party votes than National. We got fewer party votes than the Greens. We got 22% – a percentage that we associate with Tory strongholds like Halswell and Fendalton. If Labour is to have any chance at this election, then we need to win back not only Central, but the party vote across the city. This will be no easy feat – but the government’s mismanagement of the rebuild has left the door ajar; we, as a Labour team, need to swing that door wide open, so that there is no-one in the country who is not aware of National’s shameful neglect. We need to reach out to the communities that have become disengaged with Labour – and disengaged with politics – and show them that this is a party that has the ideas, the conviction, and the people to look out for them. If you support me, I can promise you this: I will bring you new members. People from the Greens. People from National. People who fell out of love with the Labour Party in the 1980s and haven’t forgiven us. People who are disengaged and don’t think politics is for them. I’ll bring them in. I’ll bring in money. I’ll throw garage sales and movie nights and art auctions. I’ll hit up my neighbours, workmates, and friends. I’ll make sure we have enough money to run the campaign that we need to run. I’ll hit the streets. From Sydenham to St Albans, from one end of Colombo St to the other. I’ll knock on every door that I can. Most importantly, I promise you this; I will win back Christchurch Central for Labour, by running on a platform that reflects what Labour is about. I’ll put people before pet projects; communities before convention centres, and equality back into EQC. 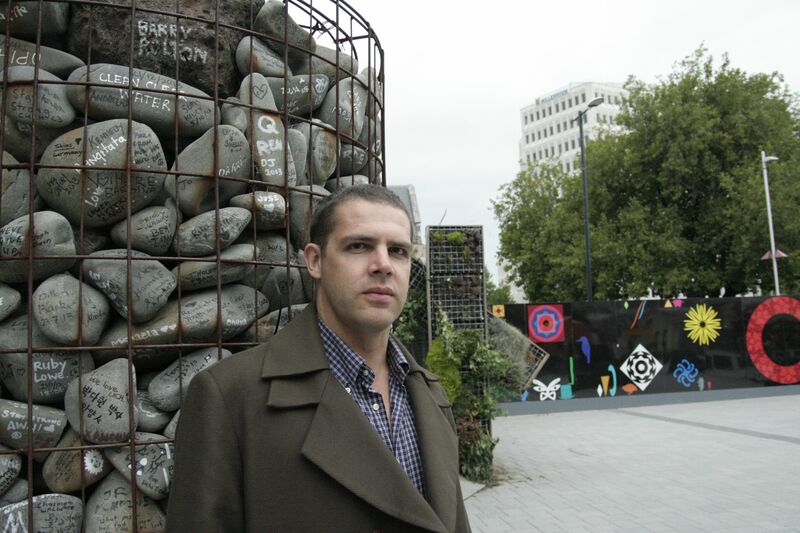 The earthquakes stopped Christchurch’s heart, and the National Government has done little to get it started again. If you support me, I’l put the heart – the people, the caring, the relationships back into Christchurch Central, and in doing so, back into the Labour Party as well. This is a heart-felt, heart-breaking piece of writing from Isabel Hitchings, who lives in the “Flockton Cluster”. I can’t do much more than strongly recommend that you read it. The situation over the last few days has shown that complex the post-quake recovery in the suburbs is – and that we are still failing too many people as a nation. Despite all signs pointing to her stepping back, Nicky Wagner has decided to again contest the Christchurch Central seat. In the last few months, there have been a few indications of her intentions, including calling it “unwinnable”, and a long, not particularly romantic walk with John Key in which he whispered sweet nothings that made Nicky look sad. This might be good news for Camp Wagner, but it’s ever better news for Camp Labour. Wagner has been a largely anonymous, ineffective electorate MP. She’s said little in support of some of the more controversial events in the electorate, such as the school closure proposals. The revelations that she owns around $25 million of property with her husband certainly won’t do much to endear her with the people in Richmond, Shirley, Waltham and Linwood who have been doing it tough. This electorate is now Labour’s to lose; let’s just hope they can pick a candidate to ensure they don’t.